iaedp’s International Chapter President Dra. Juana Poulisis, MD, PHD is joined by its Chair of Central America Dra. 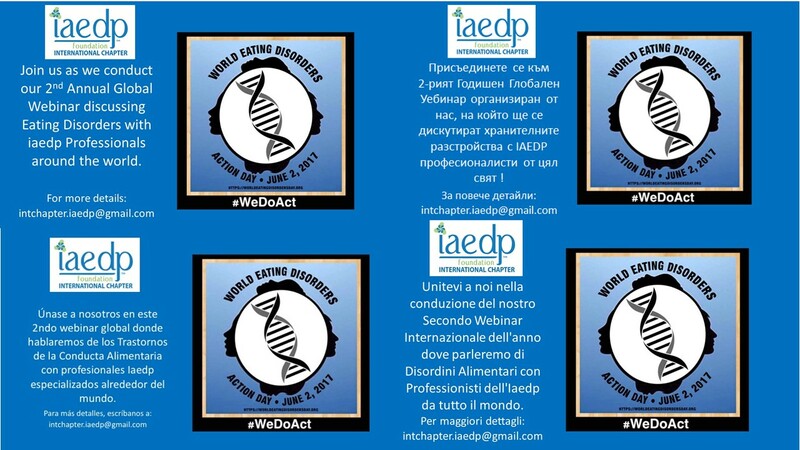 Rosanna Mauro de Maya, MSc, RD, CEDRD, Chair of Italy Dr. Anna Scelzo, MD, Chair of Bulgaria Elisaveta Pavlova, PhD, CEDS, IE-PRO, and Chair of Canada Susan Osher, MSc, RD, CEDRD for a global discussion about the treatment of and professional training for Eating Disorders.